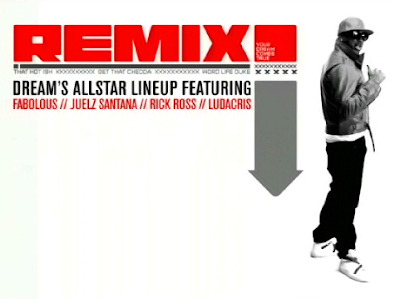 Today's song is "Rockin' That Thang Remix" from The Dream featuring Fabolous, Juelz Santana, Rick Ross, and Ludacris. "Girl I'm in love with you baby. And I'm trying to be yours." Because this was the last song I heard last night, or I should say very early this morning. The song playing on my playlist is the original version since the remix wasn't available.